Your resource for all things shoegaze and dream pop: Bandcamp Track of the Day: Tape Deck Mountain || Loopers of Bushwick. Bandcamp Track of the Day: Tape Deck Mountain || Loopers of Bushwick. Tape Deck Mountain is the shoegaze/dream pop trio of Travis Trevisan, Andy Gregg and David Sullivan. The band members, originally based in San Diego, have since migrated, spending time in both Austin and Brooklyn before settling in Nashville as their home base. I’ve always enjoyed TDM’s work (their 2013 LP Sway is excellent) but my love for them was reignited earlier this year when they released two Daniel Johnston covers via a 7 inch entitled Is and Always Was Daniel Johnston's Delay Pedal. The covers are extremely well done, doing justice to the originals while also showcasing TDM’s ever-evolving lo-fi/shoegaze sound. “Loopers of Bushwick” is taken from the group’s forthcoming EP, I WILL BREAK U, which is set for release on October 8. This mid-tempo jam continues TDM’s tradition of aural excellence. 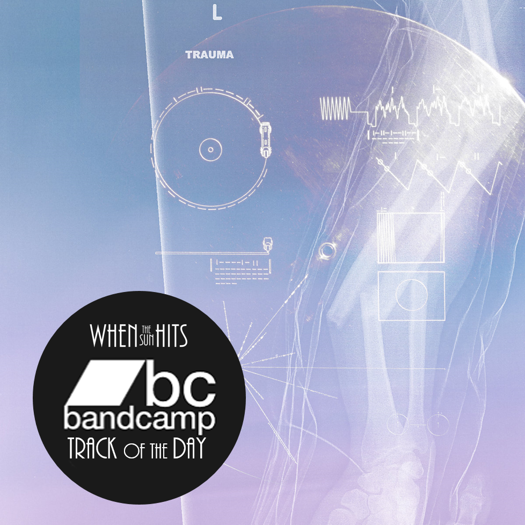 It’s a well-crafted tune, soaked in enough reverb and distortion to please any shoegazer. The tongue in cheek lyrics are clever, both cheeky and nostalgic. Solid. Along with a digital release, I WILL BREAK U will also be available via cassette. The band will be doing a very limited run of the tapes (only 50), which are sure to sell out quickly. You can rest easy by pre-ordering one for yourself here.